SFEI. 2017. The Pulse of the Bay: The 25th Anniversary of the RMP. SFEI Contribution No. 841. San Francisco Estuary Institute: Richmond, CA. SFEI. 2016. 2015 Annual Monitoring Report. SFEI Contribution No. 775. San Francisco Estuary Institute: Richmond, CA. Shimabuku, I. 2016. 2015 Update to Copper Rolling Average. Applied Marine Sciences. 2016. 2016 RMP Bivalve Deployment Cruise Report. Applied Marine Sciences. 2016. 2016 RMP Bivalve Retrieval Cruise Plan. RMP. 2016. 2016 RMP Multi-Year Plan. San Francisco Estuary Institute: Richmond, CA. SFEI. 2016. 2016 RMP Sturgeon Derby Study Sampling & Analysis Plan. San Francisco Estuary Institute : Richmond, CA. San Francisco Estuary Institute. 2016. EcoAtlas: Enhancing Regional Capacity for Habitat Restoration Project Tracking, Assessment and Reporting. 2016. EcoAtlas - Lake Tahoe Environmental Improvement Program: Tool Integration White Paper. SFEI Contribution No. 800. 2016. Effective at Any Scale: Watershed-based Decision Support Tools. Sommers, F.; Mudrock, E.; Labenia, J.; Baldwin, D. 2016. Effects of salinity on olfactory toxicity and behavioral responses of juvenile salmonids from copper. Aquatic Toxicology 175. Dissolved copper is one of the more pervasive and toxic constituents of stormwater runoff and is commonly found in stream, estuary, and coastal marine habitats of juvenile salmon. While stormwater runoff does not usually carry copper concentrations high enough to result in acute lethality, they are of concern because sublethal concentrations of copper exposure have been shown to both impair olfactory function and alter behavior in various species in freshwater. To compare these results to other environments that salmon are likely to encounter, experiments were conducted to evaluate the effects of salinity on the impairment of olfactory function and avoidance of copper. Copper concentrations well within the range of those found in urban watersheds, have been shown to diminish or eliminate the olfactory response to the amino acid, l-serine in freshwater using electro-olfactogram (EOG) techniques. The olfactory responses of both freshwater-phase and seawater-phase coho and seawater-phase Chinook salmon, were tested in freshwater or seawater, depending on phase, and freshwater-phase coho at an intermediate salinity of 10‰. Both 10‰ salinity and full strength seawater protected against the effects of 50μg copper/L. In addition to impairing olfactory response, copper has also been shown to alter salmon behavior by causing an avoidance response. To determine whether copper will cause avoidance behavior at different salinities, experiments were conducted using a multi-chambered experimental tank. The circular tank was divided into six segments by water currents so that copper could be contained within one segment yet fish could move freely between them. The presence of individual fish in each of the segments was counted before and after introduction of dissolved copper (<20μg/L) to one of the segments in both freshwater and seawater. To address whether use of preferred habitat is altered by the presence of copper, experiments were also conducted with a submerged structural element. The presence of sub-lethal levels of dissolved copper altered the behavior of juvenile Chinook salmon by inducing an avoidance response in both freshwater and seawater. While increased salinity is protective against loss of olfactory function from dissolved copper, avoidance could potentially affect behaviors beneficial to growth, survival and reproductive success. San Francisco Estuary Institute. 2016. Green Infrastructure at SFEI: Making Green Infrastructure Work in the Bay Area (Fact Sheet). San Francisco Estuary Institute: Richmond, CA. Hatje, V.; Bruland, K. W.; A. Flegal, R. 2016. Increases in Anthropogenic Gadolinium Anomalies and Rare Earth Element Concentrations in San Francisco Bay over a 20 Year Record. Environ. Sci. Technol. 50 (8). We evaluated both the spatial distribution of gadolinium (Gd) and other rare earth elements (REE) in surface waters collected in a transect of San Francisco Bay (SFB) and their temporal variations within the Bay over two decades. The REE were preconcentrated using the NOBIAS PA-1 resin prior to analysis by high-resolution inductively coupled plasma mass spectrometry. Measurements revealed a temporal increase in the Gd anomaly in SFB from the early 1990s to the present. The highest Gd anomalies were observed in the southern reach of SFB, which is surrounded by several hospitals and research centers that use Gd-based contrast agents for magnetic resonance imaging. Recent increases in that usage presumably contributed to the order of magnitude increase in anthropogenic Gd concentrations in SFB, from 8.27 to 112 pmol kg–1 over the past two decades, and reach the northeast Pacific coastal waters. These measurements (i) show that “exotic” trace elements used in new high-tech applications, such as Gd, are emerging contaminants in San Francisco Bay and that anthropogenic Gd concentrations increased substantially over a 20 year period; (ii) substantiate proposals that REE may be used as tracers of wastewater discharges and hydrological processes; and (iii) suggest that new public policies and the development of more effective treatment technologies may be necessary to control sources and minimize future contamination by REE that are critical for the development of new technologies, which now overwhelm natural REE anomalies. Sutton, R. 2016. Microplastic Contamination in San Francisco Bay - Fact Sheet. 2015, Revised 2016. SFEI Contribution No. 770. Grosso, C. 2016. 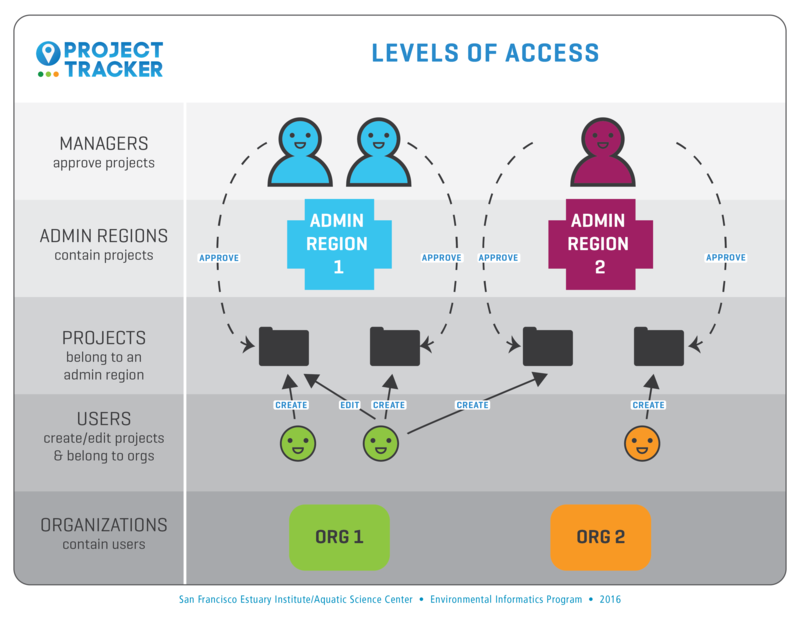 Project Tracker Access Levels - Graphic. 2016. RipZET: Documentation of Tool Demonstration in Marin County. Sutton, R.; Brown, J. V. 2016. The RMP Emerging Contaminants Program - Fact Sheet. SFEI Contribution No. 778. SFEI. 2015. 2015 Bay Margins Sediment Study Cruise Plan. RMP Lead Scientist. 2015. 2015 RMP Artesian Slough Sampling & Analysis Plan. San Francisco Estuary Institute: Richmond, CA. 2015. 2015 RMP Detailed Workplan. San Francisco Estuary Institute: Richmond, CA. 2015. 2015 RMP Program Plan. San Francisco Estuary Institute: Richmond, CA. Applied Marine Sciences. 2015. 2015 RMP Water Cruise Plan. Applied Marine Sciences: Livermore, CA. Applied Marine Sciences. 2015. 2015 RMP Water Cruise Report. Applied Marine Sciences: Livermore, CA.